Testing social responsibility - future challenges? In an era of dynamicly evolving technologies, having robots everywhere and constantly growing importance and presence of Internet of Things in our everyday routines we can observe not only the transformation of a development process itself but also a signifficant change in the quality assurance approach. The role of QA nowadays is not only to validate user reuqirements or verify functional and non-functional aspects of the software/products. In our opinion it also includes business social responsibility, meaning QA should also pay attention to it, be its guardian and advise about it to the project stakeholders. During our presentation or discussion panel we would like to encourage our audience to think about this responsiblity, presenting possible future (yet not that far away) scenarios and challenges we might experience in the industries we are working with. 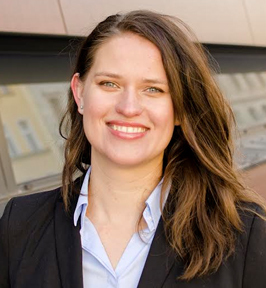 Marta Firlej started her journey with software testing in 2006. During her work she is focused on the product, the process and the team. She is engaged in quality assurance with a particular emphasis on the usability testing, functional testing and the test management. She had the opportunity to not only build and develop testing teams, but also work with customers to create, develop and design software. The initiator of Testing Conference Test:Fest in Wroclaw. A Member of the committee of judges in Polish TestingCup Championships in 2013 and 2014. Besides working, she likes traveling, cooking and cycling.